The use of new technology and general chiropractor skills made my first visit very pleasant. Great welcome. Very friendly, thorough and professional. After the initial assessment, which was excellent, I feel very optimistic that treatment will be very helpful. Could not have received better treatment. Very professional. Very kind and friendly. I would highly recommend you to anyone I know who would benefit from your help. So efficient, organised and knowledgeable. Have recommended you to my brother-in-law. I value overall that Vicky identified quickly the symptoms of my back pain and she put interest in showing and explaining them to me. Lovely clean clinic, and great service. Left feeling very confident and hopeful. Excellent first consultation really impressed with the scan as it showed the problems I was having. Very helpful and friendly, will recommended. I hope I shall feel a whole lot better after my treatment. Absolutely fantastic. I felt totally understood and cared for throughout the full appointment and booking. Looking forward to getting my body back to normal!! Very good first consultation, felt really confident on all advice and treatment plan given by Dr. Cole (Chiropractor). First ray of hope for a comfortable back for years. Brilliant! I recommend everyone to go and see Dr. Cole (Chiropractor). 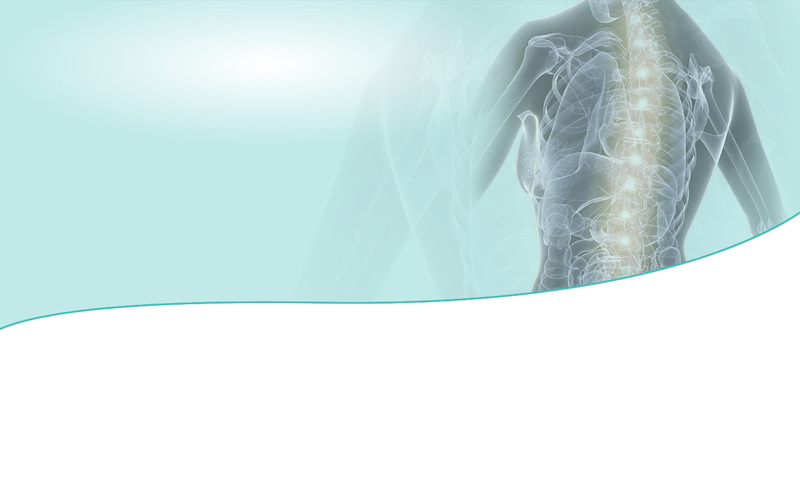 Dr. Vicky (Chiropractor) was very thorough and informative – much more so than other chiropractors I’ve seen. Yet to start treatment but very impressed so far. A few weeks after completing a marathon, I started with knee trouble. It was hard to pinpoint, it seemed to keep moving around my knee, then to the back of my leg and the side. I put up with it for a while, but the usual stretches, icing, foam rolling etc were not really having any effect. I could usually feel the pain within a few steps of getting out of bed in a morning, some days were better than others. After about 5 or 6 weeks of no improvement, and with a big race coming up, I decided to try chiropractic treatment with Health Inc following a recommendation from a friend. I saw Stav for chiropractic care, and he seemed to pinpoint the issue straight away. I was slightly dubious, but even after my first treatment, when I left the building, the relief to my knee was noticeable – I could no longer feel a twinge every time I changed gear in the car, for example. I attended for regular treatments and the pain gradually reduced. I wasn’t always aware of the benefit it was having, but I do remember thinking one day on my way into work, ‘this is the best my legs have felt in ages’. Coupled with a sensible approach to training, this ongoing support meant I was able to take part in the races I had entered including a half marathon and 24hr team endurance race. I also underwent a course of laser therapy on my knee to rebuild and repair the damage I’d done. With support from the team, I went from barely knowing how my leg was going to feel or how far I’d be able to run on any given day to getting a 5k PB, winning an age group trophy in a 10k race and completing a 22 mile training run with confidence, and no knee niggles at the end of it! At the beginning of June, I was in that place where runners sometimes go – I’ll never get rid of this problem, this is it now, it’ll never improve – so I would never have imagined back then that I’d be running and feeling as well as I do now, two months on. A huge thank you to all the team at Health Inc. from one very happy runner! Lovely, friendly welcome in reception from Susan. Vicky was so knowledgeable and helpful and explained things fully. Looking forward working with Vicky as her intergrative and natural approach to health makes so much sense to me, thank you. I cannot speak highly enough of the experience I had. I’ve been telling everybody I’ve spoken to since how impressed I was! What a difference it makes to have somebody take the time to fully understand your history, explain your condition in words you understand and then advise on the best treatment. The added value for me was that this covered a whole range of ways to help myself rather than solely focusing on what would specifically be done during the appointment. Friendly reception…very welcoming. Dr Cole (Chiropractor) made me feel totally at ease during consultation & feel confident about coming back for treatment. A very professional and friendly service which has helped me gain both a long awaited diagnosis and my life back! Vicky was lovely, really made me feel at ease. And for the first time I feel hopeful that my back pain can be relieved. The professionalism & knowledge of the practitioner was evident and this gave me confidence & hope that my back problem could be helped. Friendly and very welcoming. Many thanks and I’ll see you really soon. Really felt that Vicky took her time and did a really thorough examination on me. I really feel and hope that Vicky will sort me out. Very professional but friendly service. Dr. Daniel (Chiropractor) was great and Evie (age 11) responded well to his approach. Thanks very much. Very friendly, personal and professional. Put me at ease and feel confident that the treatment will be helpful. Excellent service. Very helpful and friendly staff. Felt very hopeful of a successful outcome. Will recommend to others. Every thing was so very professional, state of the art equipment and technology. Extremely helpful and welcoming. I would recommend this practice to everyone I know that needs to see chiropractor without doubt. I went in feeling down and unsure and came out feeling positive with a spring in my step totally buzzing. Superb service, looking forward to the treatments. Very professional, very helpful, I have been to many practitioners but the first consultation gave me much more insight into what could be the causes of my pain. I liked the use of the scans to chart future progress as an objective approach. I got told about Health Inc. by several friends that go there. It was my first time at a chiropractor, Dr. Cole (Chiropractor) and staff are very pleasant, everything is explained and carried out in a very professional manner. I have started my plan for my problems, further appointments booked, would highly recommend. The practise was very accommodating with regards to my first appointment especially bearing in mind the Christmas period. Their attention to detail, my problem, and the analysis equipment they use was very good. Trust at the end of the day they can overcome my problem. Very impressed by the thoroughness of the initial consultation – been to lots of chiropractors in the past and they’ve always been great but never quite like this! Before coming to the clinic, I had been to see my own GP who referred me to a specialist at Hull. I had an MRI scan and then was referred back to a neurologist. No one actually told me what the problem was! On meeting Vicky Cole for the first time, I found her to be a pleasant, happy and knowledgable young lady. She very kindly explained what she would be doing and how she could help me. I’ve been coming now for quite a few months and cannot tell you the difference it has made to my life. I think Vicky has ‘miracle hands’. She has worked wonders on me and I will be eternally grateful to her.